You may still be able to book by calling the hotel at 760-438-9111. 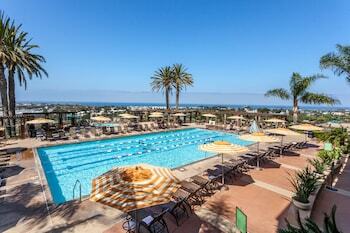 La Costa Resort and Spa in Carlsbad, California, epitomizes California living. With an award-winning spa on-site, it's a place where singles, families and business travelers can all find something to enjoy. 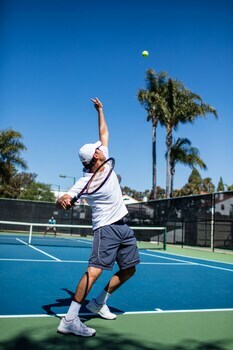 From pools to tennis courts to a spectacular golf course, you won't soon run out of things to do. 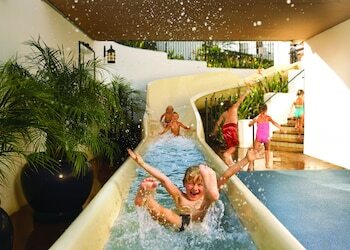 As a family-friendly resort in Carlsbad, La Costa rolls out the red carpet for kids, with its kids' club, night camp, game lounge and more. And when all the running around makes you tired as heck, retire to your room, where you'll find elegant furnishings, marble bathrooms and so much more. 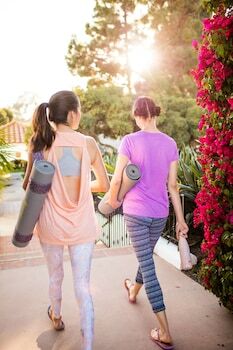 Taking care of yourself is as easy as booking a trip to La Costa Resort and Spa. 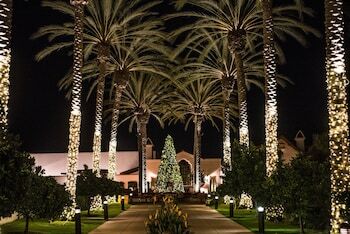 Omni La Costa Resort & Spa is a 4.5-star hotel located at 2100 Costa Del Mar Road, Carlsbad, CA 92009, US . Its nightly price usually falls between $171.75 per night and $2220 per night, excluding tax, depending on room category. At Omni La Costa Resort & Spa, AAA members often get 7-13% off the regular rate. For example, on December 9, 2018, a AAA rate of $243.2 per night was offered. Depending on your itinerary, your savings can be more than the annual AAA membership fee itself! Many Room 77 users are able to pay for their entire AAA membership in a single stay. At Omni La Costa Resort & Spa, seniors often get 5-10% off the regular rate. For example, on December 9, 2018, a senior rate of $222.16 per night was offered. $172 per night found for a Signature Room, 1 King Bed room type. For December 9, 2018, a special AAA rate of $243.2 per night was found for the AAA Bed and Breakfast Rate - Signature Room 1 King Bed room type. For January 13, 2019, a special Senior rate of $222.16 per night was found for the Senior Discount - ID Required - ADA Premium Signature With King Bed - Full Features Avail By Calling 800 the Omni room type. Omni La Costa Resort & Spa sells rooms through sites like Room 77, Expedia, Hotels.com, GetARoom, and many others. Room 77 searches across dozens of different sites to find the lowest discount rates available. The lowest rate we've seen over the last few weeks was found on . In 1% of the cases we surveyed, all sites offered the same rate. You can compare real-time rates from all of these sites on Room 77. Room 77 is the only hotel shopping site that includes special discounts like AAA, senior, government, military, and corporate rates.